He had lunch most days at his regular table in the Palmer Grille, which was known simply as the men’s grille until a few years ago. His chair was the closest to the door of the men’s locker room and to the bar, so he could survey the room and easily greet and banter with members. 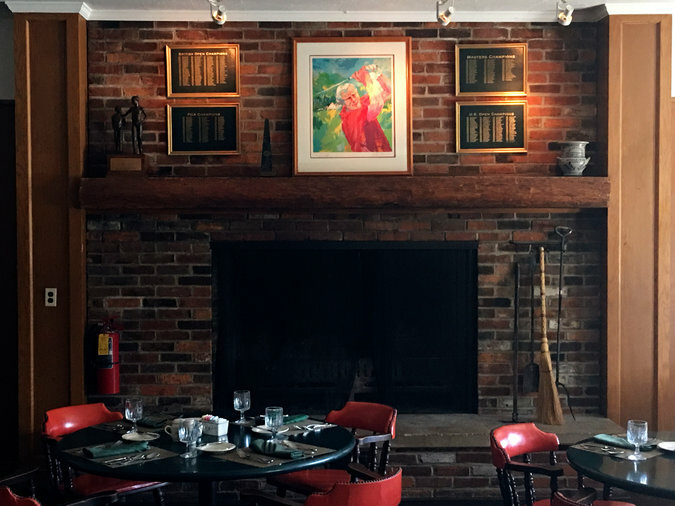 At night, he often ate upstairs with Kit, his wife of 11 years, in the relaxed but comfortable dining room, which, like the rest of the club, featured artwork, photographs and memorabilia from his storied life and golf career. Artwork of Arnold Palmer by the artist LeRoy Neiman is inside the Palmer Grille at Latrobe Country Club. Next articleWATCH: Coetzee's lucky break!